Welcome to Shane Michaels Sales of Brechin-Were we create RV Life Experiences! Welcome and a big “thank you” for making Shane Michaels Sales of Brechin the number 1 volume RV dealer in the greater area. RVers and camping enthusiasts have chosen Shane Michaels as their source for quality new and pre-owned RV’s including Forest River, Dutchmen, Areolite, Colorado, Grand Junction, Palomino & Coachmen Catalina and other recreational vehicles, such as Coachmen “C” Class line of fine motorhomes including Freelander, Concord, Leprechaun and Prism – pre-owned quality trucks, cars and pre-owned quality watercraft, new cargo, utility, and car trailers by Cargo Mate. It’s our desire to help families embrace the RV lifestyle while seeing Canada “coast to coast”, and building RVing memories that will last for generations to come. Shane Michaels Sales of Brechin proudly represents the industry’s best of the best RV manufacturers which includes the Forest River brand of RVs, a Berkshire Hathoway financially funded company, with this type of backing, they are the strongest in the world. Here tomorrow, next month, next year! Mike Shane President of Shane Michaels Sales Inc. and Forest River Presiden Peter Liegl share a laugh after Shane Michaels signs a product agreement to become one of Canada's largest Coachmen dealers. 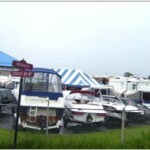 We at Shane Michaels Sales, proudly sell the best brand of RVs. Along with offering the very best RVs, we are focused on providing the RVing public with exceptional service, “we service what we sell”. We are committed to providing the very best by having the very best Quality people and Quality products at Shane Michaels Sales are the main reasons why so many RVers choose to come back to our dealership. 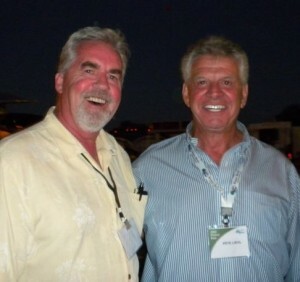 Our mission is to create RV Life Experience through excellence in Sales and Service. Our people make a world of difference! See why we are the number 1 source for a fun time and the number 1 dealer for RVs in the Greater Central and Northern Ontario region.! Shane Michaels Sales Inc. strives to ensure the accuracy of the information on their website, however, actual products, and services may differ materially from those on the site. All prices listed on the site are subject to change without notice and do not include tax, and licensing fees. All units are subject to prior sale. Product infomation, technical data, program information, photographs, and illustrations are intended to be representative examples based on information available at the time of posting and are subject to change without notice.